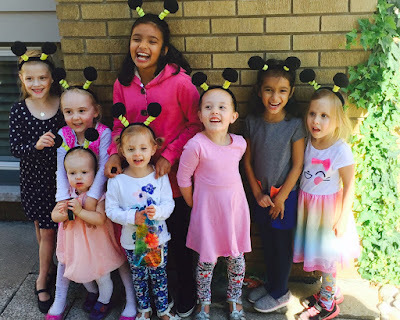 it's my girls' world: Fri-yay five! Happy Friday, loves! I feel like I haven't done any sort of life lately posts recently to play catch up so here's what's been bringing us happy around here. 1- We went to the girls' little friend Wren's bug party a few weeks ago. 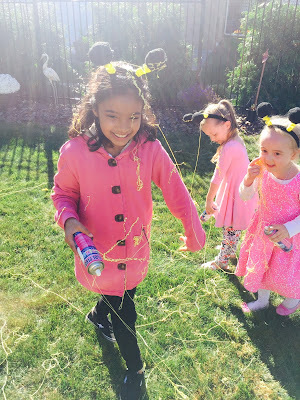 From arts and crafts, to a bug scavenger hunt (complete with learning about the different bugs) to a silly string bug catching game-- this party thrilled the littles to no end. 3- We went to our friend Jenn's house the other day. She makes the best cheese tray and this simple pumpkin whipped dip for dessert was so delicious. Some members of my family wanted to eat it with a spoon. 4- This sunset was captured at another friend's house over Thanksgiving weekend. The picture doesn't do it justice. It was unseasonably warm on that day but boy is Mother Nature making up for it now. Say what? We were spoilt with such beautiful October weather for quite some time! Happy Friday, friends! May your weekend be filled with fun. 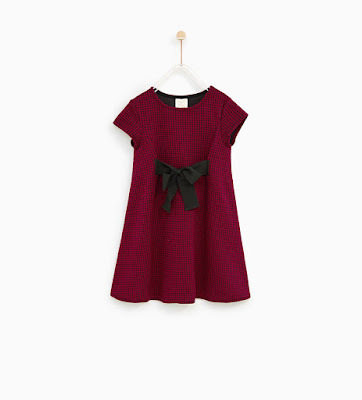 Love that dress and I LOVE the idea of family happy hour. So clever. Have you been loving geocaching? We haven't gone in a very long time. 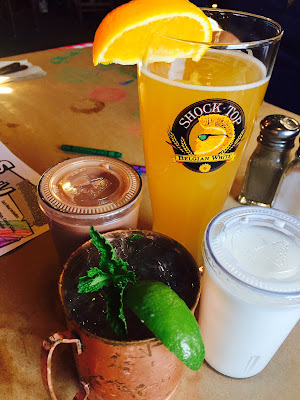 I love the family happy hour idea. And so many great memories being made with friends. Looks like such a fun week! The cupcakes look so yummy and I really like that dress you found! Looks like a great week! I love pumpkin dip, so good this time of year! What a fun week. A bug party is such a cute idea; love the butterfly cupcakes!! That cheese tray and dip look absolutely delicious! My niece is currently obsessed with bugs. A bug party is such a fun idea! 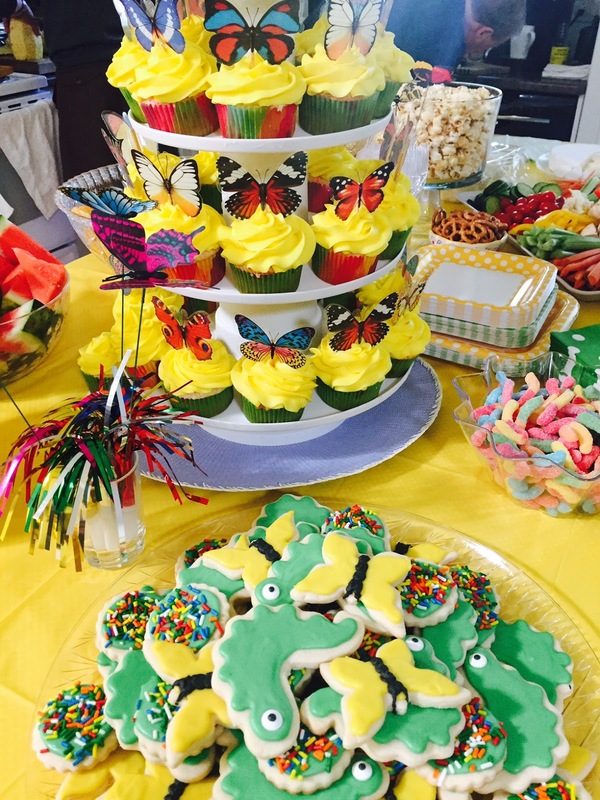 Those cupcakes and cookies do look delish! Thanks for hosting!